Get your pointer finger poised to hit “Follow” because Prince Harry and Meghan, Duchess of Sussex, are officially on Instagram. That’s right, dear old Meghan is back on social media and she’s bringing her posh royal husband with her! 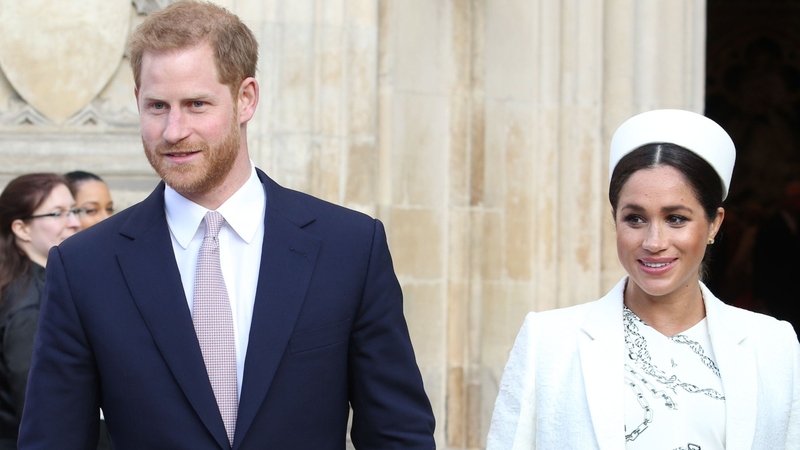 On Tuesday, the royal couple launched their own profile in order to keep their global followers apprised of major developments in their lives and to raise awareness about their favorite philanthropic causes. So far, the account only has one post — but it’s already everything we hoped it would be. The message, signed “Harry & Meghan,” was accompanied by a small slideshow of the pair doing everything from mingling with fans to assisting in aid work. As one might suspect, it isn’t taking long for Harry and Meghan to amass a metric ton of followers, with over 400,000 (and growing) within an hour of the account’s debut. Not surprisingly, the duke and duchess are being a bit more selective about who the account follows, with that number currently hovering at three: Clarence House, Kensington Royal and the Royal Family. Harry and Meghan aren’t the only members of the royal family embracing the age of Instagram. In March, the royal family matriarch, Queen Elizabeth II, took to the social network to publish her very first post on The Royal Family’s official account. The subject of that inaugural Insta? Her visit to the Science Museum in London and a letter from the Royal Archives sent to Prince Albert from inventor Charles Babbage. While we all look forward to seeing similar outings shared by Harry and Meghan, let’s be real — we’re all really dying to know if Instagram might be the outlet the beloved couple chooses to introduce their firstborn child to the world. Considering Meghan’s due date could very well be this month, the timing of the royal couple’s IG introduction feels promising.